Do you need advice, training or certification for electrical safety at your event or company? With 25 years’ entertainment industry experience, we can help. 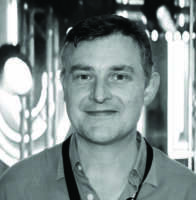 James is a Chartered Engineer who has worked in the events and allied sectors for over 25 years, developing a wealth of knowledge in electrical and control systems engineering. James Eade is a trading name of E-Mech Entertainment Engineering Ltd, registered in England and Wales (no. 5380909). Website content copyright © E-Mech Ltd. Site designed and built by Tim Wakeling.